Summary: This study demonstrates that adverse drug reactions do potentially pose a public health risk within the pediatric population and all healthcare providers need to be mindful of this risk. Adverse events to medication within this population are prevalent particularly in children under the age of two. Chiropractors must therefore be aware of adverse drug reactions and recognize symptoms within their patient population. A 19–week-old premature infant presented to a chiropractic teaching clinic with a ‘poor feeding pattern, recent slowing in weight gain and increase in crying’ over a three week period. The mother stated that this had started following a respiratory infection which occurred two months ago, with an associated rash that spread from her abdomen to the back of her neck, face and head. At least six weeks previously her GP had prescribed a cold remedy for the day (Calcold®) and Calpol® Night for the evening for the respiratory infection, and cortisone cream when a rash developed two weeks later. The medications seemed to help the child sleep, in fact she seemed to sleep much more during the day and night, which was put down to illness. However this did not change in the ensuing weeks after the respiratory infection abated. The mother continued with the Calpol® Night at the recommendation of the GP along with a change to Calpol® (instead of Calcold®) in the day, since it seemed to have helped with sleep. We examined a lethargic infant with an erythematous rash covering the trunk, head and neck who had decreased almost two centiles on her growth chart in the previous several weeks, and although not losing weight, she was nevertheless not gaining weight. Without another obvious etiology, was there an association between the medication and the child’s signs and symptoms? Among neonates and children, decreased intestinal motility and delayed gastric emptying can result in a greater lag time between drug administration and plasma concentration compared to adults. There is therefore a potential for increased drug absorption. The presence of increased gastric irritability in neonatal life such as reflux can result in loss of medication dose. Children have higher levels of water and extracellular fluid; this will result in increased distribution and dilution of water-soluble drugs. Reduced protein binding of drugs in neonates can result in higher concentrations of free drugs in the body. The blood brain barrier is not fully formed in neonates; therefore some medications may have an enhanced effect. Neonatal livers are not yet fully developed to be able to metabolise a large proportion of drug substrates. Glomerular filtration and tubular function within the kidney are not as efficient in neonates; therefore drug excretion is decreased. The use of an indication, dosage form, dose regime, population or other parameter not mentioned in the approved labelling. The use of medication in children that have been authorized for adults. Additionally there is a high usage of over-the-counter medication (OTC) use in children. A study conducted in Germany in August 2009 found that over the course of one week in a population of 17,450, 0 to 17 year olds, 17% used OTC medication. A similar study carried out in the United States (US) in August 2009, stated that in a population of 2,857 infants, 56% had used more than one OTC drug in the seven days prior to interview. OTC use is therefore very common (Table 3). It was indicated to investigate further the use of drugs in children as information from a 2009 survey in a university-affiliated chiropractic teaching clinic (N=770) revealed 45% of crying babies had been treated with medication prior to their presentation to this clinic (Figure 1). Health care providers must therefore be aware of the signs of ADRs and the misinterpretation of dosage via off-label prescribing. In order to determine the prevalence of ADRs in infants and children, a literature search was performed. Medline and PubMed were searched using the following search terms: off-label use, non-prescription drugs, child, pediatrics, prevalence, drug toxicity guidelines. Papers were limited to those published in the English language. For the purposes of this investigation, research focused on adverse effects from OTC (over-the-counter) medication and off-label prescribing. Mis-use of medications by caregivers was a common occurrence found in a study by Lokker et al (2009) who showed that the most common factors influencing parental decisions were packaging (if the bottle was brightly colored or had pictures of teddy bears for example) and labelling (if the product had infant or pediatric written on the label). Their survey revealed that dosing directions on medication packets only influenced the dosing decisions of child caregivers 47% of the time. This study showed that misunderstandings are common, and labelling and packaging can confuse parents. This case study related to prescribed medication, and there is a substantial amount of research related to off-label prescription of medication in children. Mcintyre et al (2000) conducted a retrospective study of all prescriptions over a one-year period within a single general practice. They found that out of 3,347 prescriptions, 1,175 were for children. Of these, ten were used in an unlicensed manner and 351 in an off-label way. This study highlighted that the use of off-label medications is widespread. ADRs associated with off-label prescribing were found to be common in a one year cross sectional observational study carried out in Sweden. From 112 patient reports, 158 ADRs were identified. Of these 158 ADRs, 30% (47.4) were considered serious. All reports concerned outpatients under the age of 16 years. 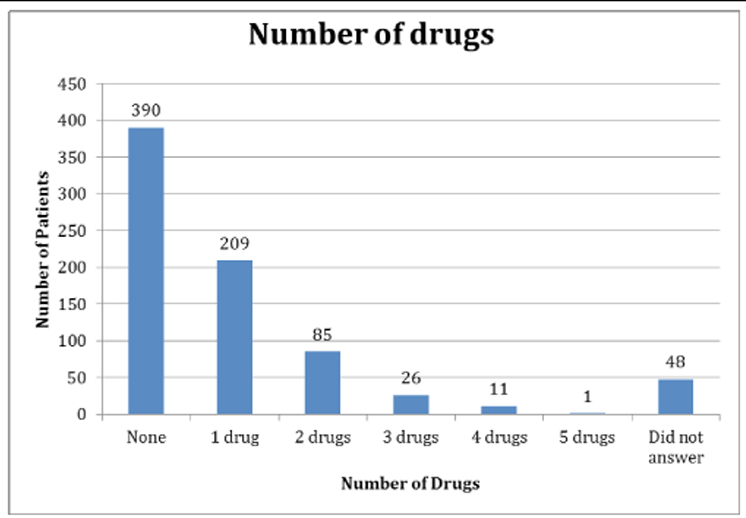 The proportion of off-label drug prescribing amongst these 112 patients was 42%.27 The majority of these were related to inappropriate dosage. This suggests that off-label drugs frequently contribute towards ADRs in children. Clavenna and Bonati (2009) systematically reviewed 8 prospective studies published between 2001 and December 2007 in order to evaluate ADRs in the pediatric population. They suggested greater regulation of medicinal warning labels was necessary to ensure paediatric safety. The researchers showed that ADRs in children were more common in hospitalised patients compared to those admitted to hospital and this was statistically significant. Despite the best efforts of clinicians and researchers, there is a deficit in reporting of ADRs in pediatric patients. Evidence does indicate, however, that off-label prescribing is widespread and the labelling of over-the-counter medications can sometimes be difficult to interpret. It is the lack of clinical trials conducted in the pediatric population, which is a significant obstacle. Adverse drug reactions do potentially pose a public health risk within the pediatric population and all healthcare providers need be mindful of this risk, whether they prescribe medications in their practice or not. Chiropractors must therefore be aware of ADRs and spot these symptoms within their patient population. Chiropractors should be aware that ADRs tend to be more prevalent in those under two years of age. Knowledge of ADRs is therefore extremely important in a clinical review of every patient regardless of age. In terms of the infant in the clinic, it was important to recognize the symptoms of ADRs and this aided the management of the case. Based on the information found in the literature and the symptoms of the infant, an ADR seemed very likely in this case. The parents were referred back to the GP regarding the suspicion of an ADR in this case. All medications were stopped and the patient recovered her energy levels and growth and the child was monitored for one month, without further adverse events. Press Release: Better Medicines for children’s coughs and colds. Medicines and Healthcare Products Regulatory Agency 2009 [internet]. New Recommendations on Children’s cough and cold treatments. Lai CKW, Montefort S, Stewart A.
analysis from phase three of the ISAAC programme. London: British Medical Association 2009. Paracetamol Dosage. Paracetamol Information Centre. 2011 [internet]. Medicines: safety of medicines – adverse drug reactions. World Health Organization 2008 [Internet]. Khotaei GT, Mamishi S, Siadati A, Tabatabaei P.
Adverse Drug Reactions in Hospitalised Children in a Department of Infectious Diseases. Paediatrics: a clinical guide for nurse practitioners. London: Elseveir science limited 2003. 18-21. Arnott J, Hesselgreaves H, Nunn AJ, Peak M, Pirmohead M, Smyth RL, Turner MA, Young B.
of parent’s experiences of their child’s suspected adverse drug reaction. Neubert A, Felishi M, Bonifazi, Manfredi C, Wong I.C.K, Ceci A.
Off-Label and unlicensed use of medicines for children. (EEC) No. 1768/92, Directive 2001/20/EC and Regulation (EC) No 726/2004. Official Journal of the European Union 27.12.2006, L378/1-L378/19. In label and off label use of respiratory drugs in the Italian paediatric population. health survey for children and adolescents. Sammons HM, Malhotra J, Choonara I, Sitar DS, Matsui D, Rieder MJ. British and Canadian views on the ethics of paediatric clinical trials. Promoting safety of medicines for children. World Health Organisation 2009 [Internet]. Miller J, Newell D and Phelps S.
Identifying subgroups of infant patients with excessive crying disorders. WFC 2009. Titchen T, Cranswick N, Beggs S.
and paracetamol in a paediatric hospital. Press Release: Merck Announces Voluntary Worldwide Withdrawal of VIOXX® (rofecoxib) Sept 2004 [internet]. Vassilev ZP, Chu AF, Ruck B, Adams EH, Marcuss M.
the cases managed out of hospital. Dart RC, Paul IA, Bond GR, Winston DC, Manoguerra AS, Palmer RB, Kauffman RE, Banner W, Green JL, Rumack BH. Yaghmal BF, Cordts C, Ahlers-schmidt CR, Issa BA, Warren RC. for infants and young children. Franco V, Choi L, Johnston PE, Rothman RL. Parental misinterpretations of over-the-counter paediatric cough and cold medication labels. Mcintyre J, Conroy S, Avery A, Corns H, Choonara I.
Unlicensed and off label prescribing of drugs in general practise. Ufer M, Kimland E, Bergman U.
a one-year survey of spontaneous reports in Sweden. Maat B , San YA, Bollen CW, Van Vaught AJ, Egberts TCG, Rademaker CMA. Tovo PA, Sollai S, de Martino M, Manelli, Tipo V, Da Cas R, Traversa G, Menniti-Ippolito F.
Drug use and upper gastrointestinal complications in children: a case-control study. Jonville-Bera AP, Autret Leca E.
Are incorrectly used drug more frequently involved in adverse drug reactions? Understanding dosing: children are small adults, neonates are immature children. Westra AE, Engberts DP, Sukhai RN, Wit JM, de Beaufort ID. Drug development for children: how adequate is the current EU ethical guidance. Welzing L, Harnischmacher, Weyersberg, Roth B.
in the paediatric population-a field report.